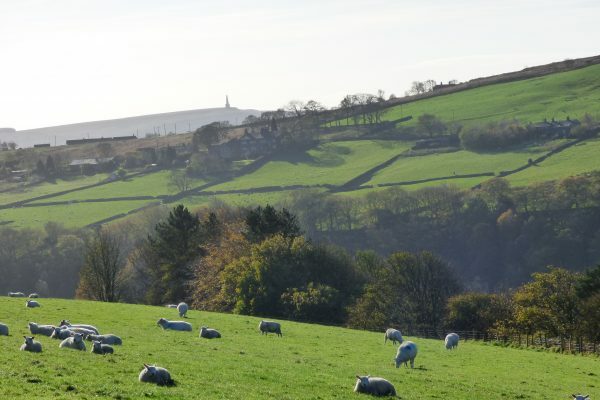 Whether you’re a seasoned hiker or simply enjoy communing with nature in the great outdoors, Elmet Farmhouse provides the ideal base for a walking holiday in Yorkshire. 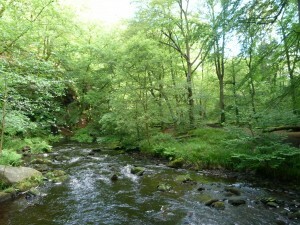 With Hebden Bridge and the spectacular National Trust woodlands of Hardcastle Crags in the valley below, heather moorland on the hillside above and beautiful hay meadows all around, Elmet Farmhouse is ideally located for exploring the dramatic landscape of the Upper Calder Valley, with fantastic opportunities for varied rambles from the door. 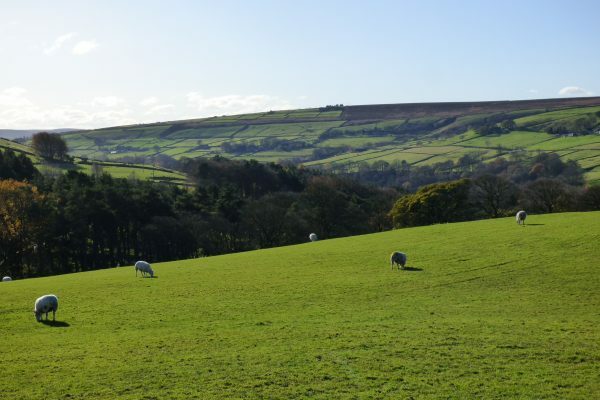 Walkers are extremely welcome at Elmet Farmhouse. 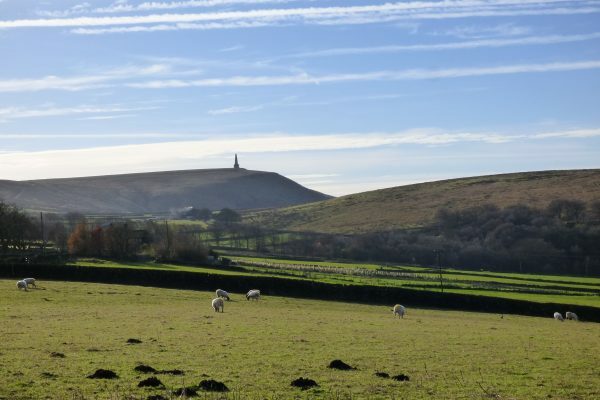 Located in the Heart of the Pennines, close to the Yorkshire Dales, with the Pennine Way and Brontë Country on the doorstep, this is rewarding terrain for hikers. 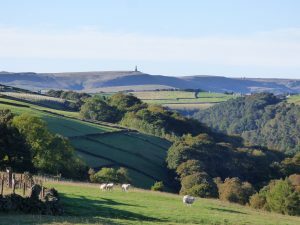 Being enthusiastic walkers ourselves, we know just how good the surrounding countryside is for ramblers. 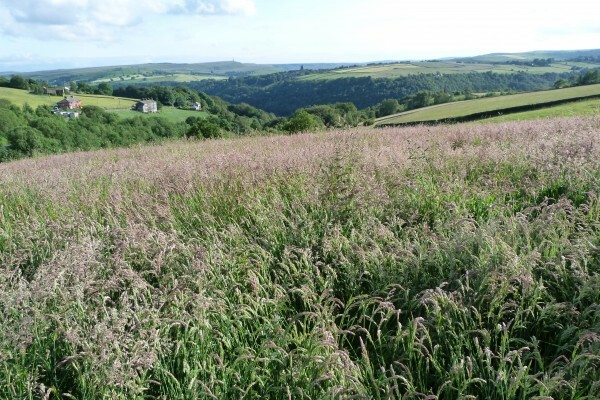 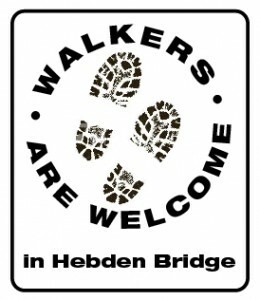 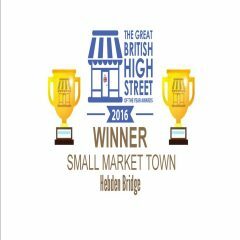 We’re keen to encourage walkers to discover the delights of the Upper Calder Valley around Hebden Bridge. 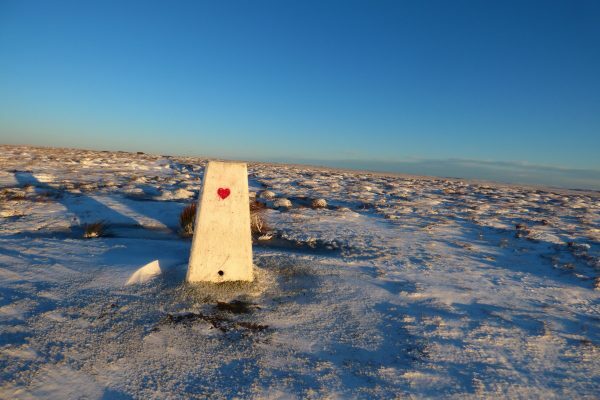 We provide maps, walks leaflets and guidebooks, so all you need is your boots and rucksacks. 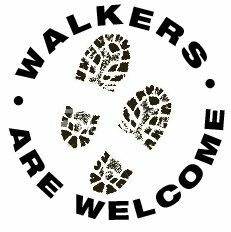 We’ve even compiled notes on our favourite perambulations and we’re more than happy to give advice on local walks. 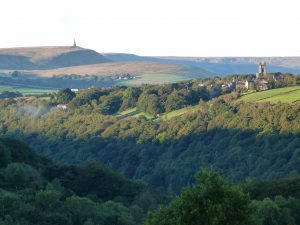 With its dramatic plunging valleys, rolling hills and rocky outcrops, the landscape of the Upper Calder Valley is very striking. 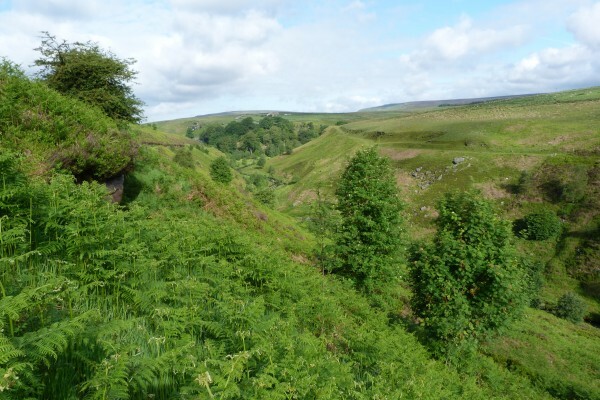 One of the joys of walking in this area is that the countryside is extremely accessible, with an extensive network of footpaths and bridleways, including ancient stone-paved causeways and packhorse trails dating back for centuries. 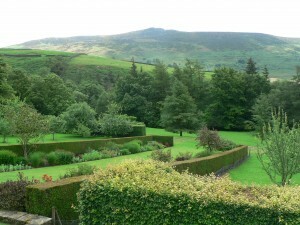 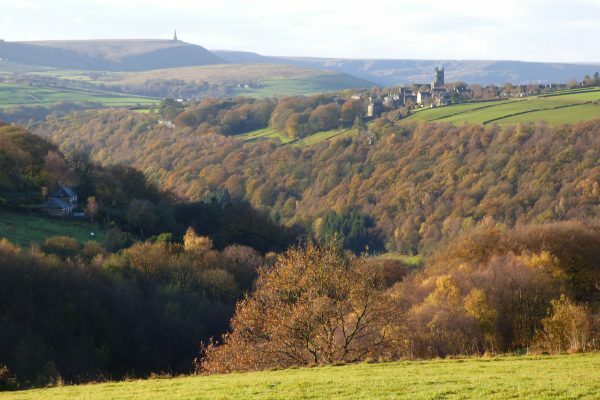 There are literally hundreds of footpaths to choose from: running along river banks and canals in the valley bottoms, zigzagging up and down the hillsides through the woods, linking the farms on the shoulders of the hills and snaking across ‘the tops’ over the moors or along dramatic rocky hilltop ridges. 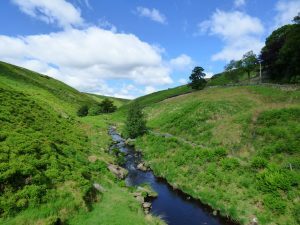 Whether you prefer linear walks or circular loops, the Upper Calder Valley provides great variety and flexibility. 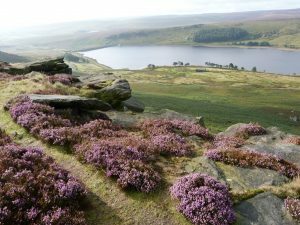 Hikers are spoilt for choice in this area with enough footpaths to keep you busy for at least a week just in and around Hebden Bridge. 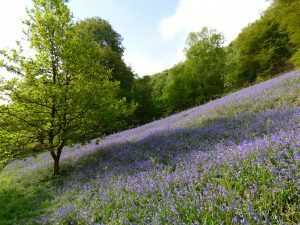 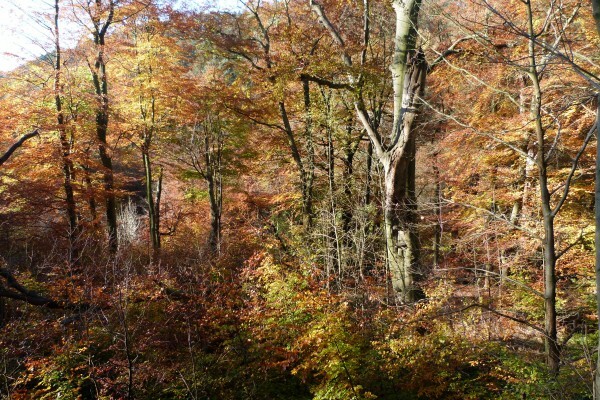 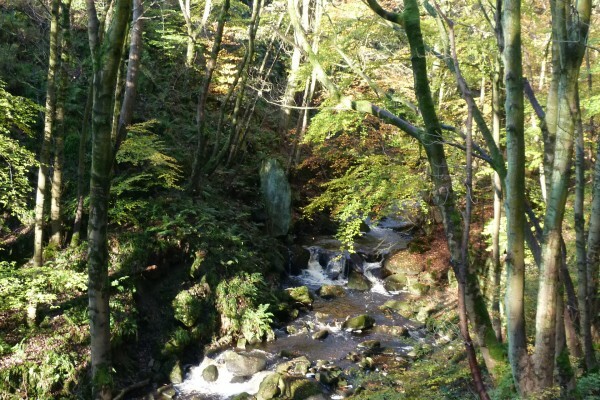 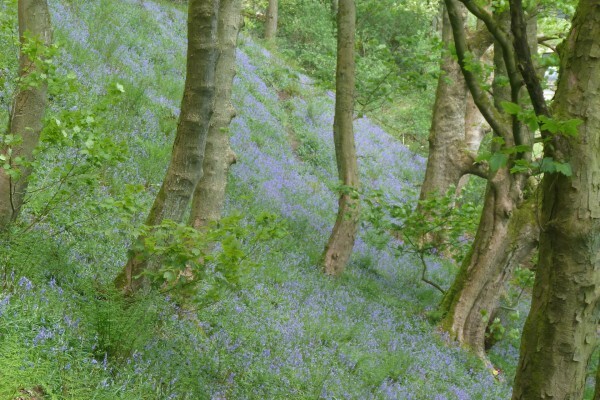 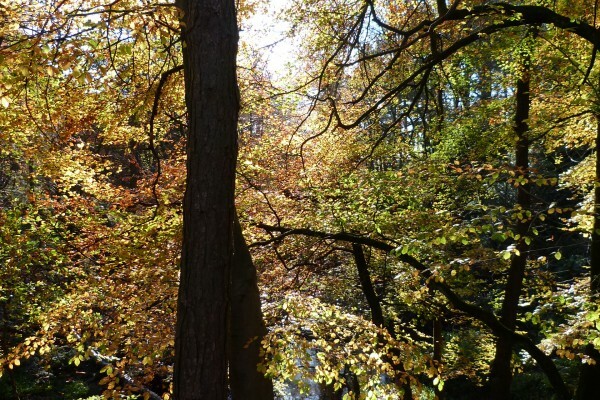 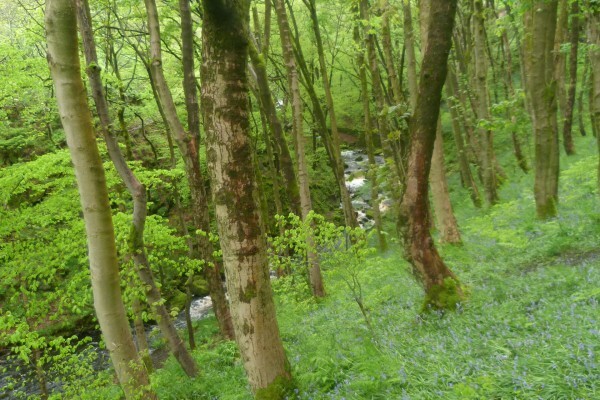 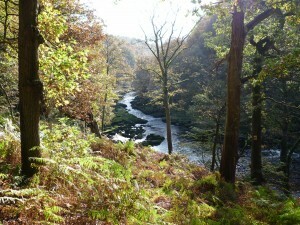 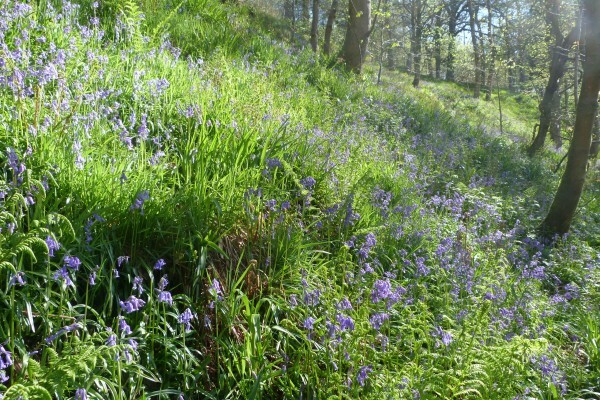 Hardcastle Crags, with its bluebells, beech woods and waterfalls, is a walker’s paradise in its own right, with over 15 miles of footpaths crisscrossing the river. 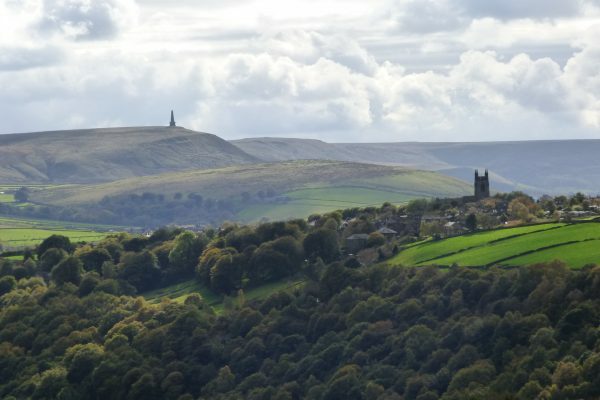 But this is just the tip of the iceberg: there are several other equally beautiful steep-sided valleys nearby, each one a hidden gem, including Crimsworth Dean and Pecket Well Cough, Colden Clough near Heptonstall, as well as Luddenden Dean and Cragg Vale. 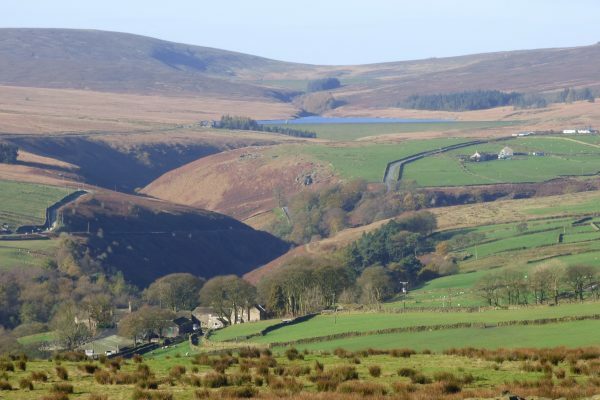 Whether you’re a seasoned hiker or a weekend rambler, Elmet Farmhouse is well-placed for dipping into one of England’s Great Walking Trails, the legendary Pennine Way. 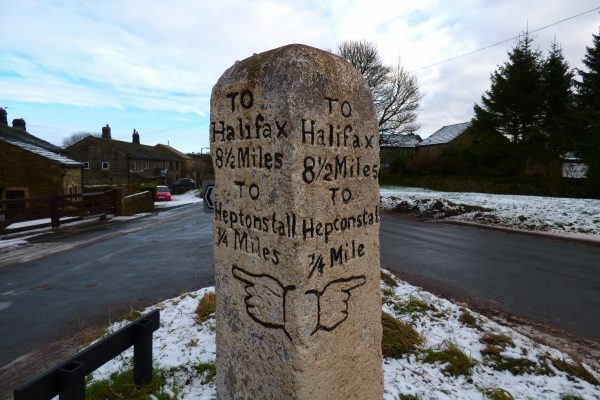 At 268 miles, it’s the longest of Britain’s National Trails, spanning the full length of the Pennines – known as the backbone of England – from Derbyshire in the south to Northumberland in the north. 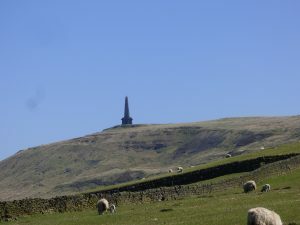 The Yorkshire section is one of the best stretches of the Pennine Way, encompassing the iconic Stoodley Pike monument between Hebden Bridge and Todmorden, as well as Malham, Wharfedale, Wensleydale and Swaledale in the Yorkshire Dales National Park. 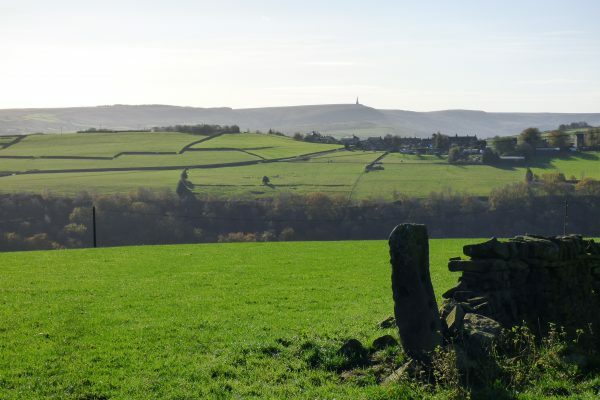 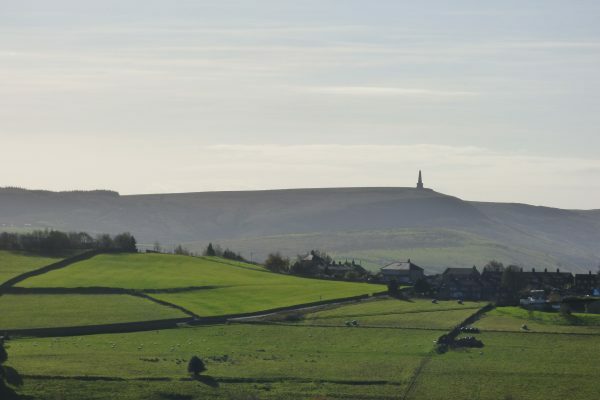 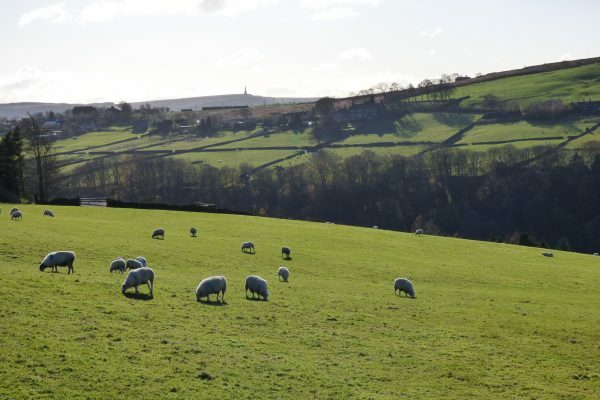 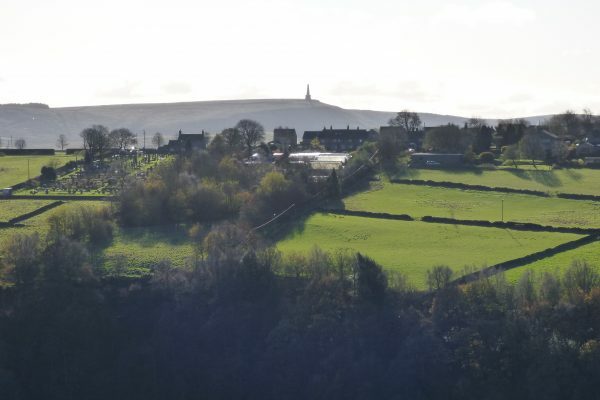 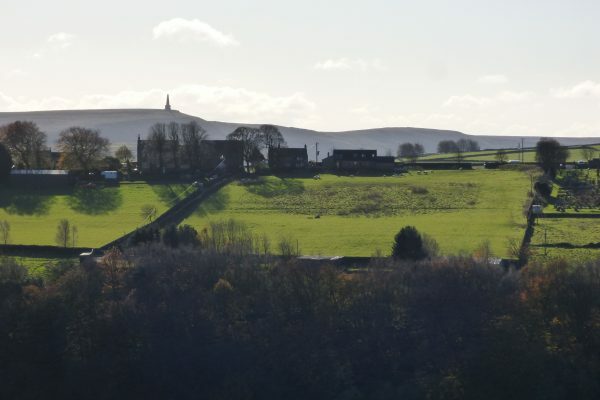 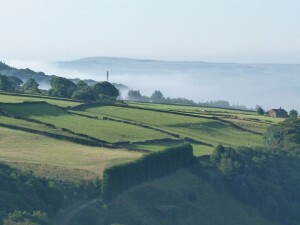 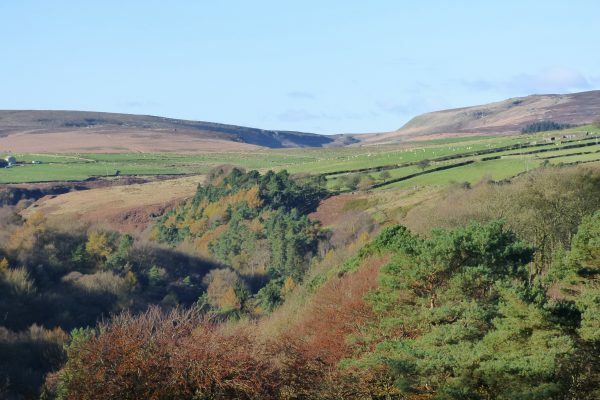 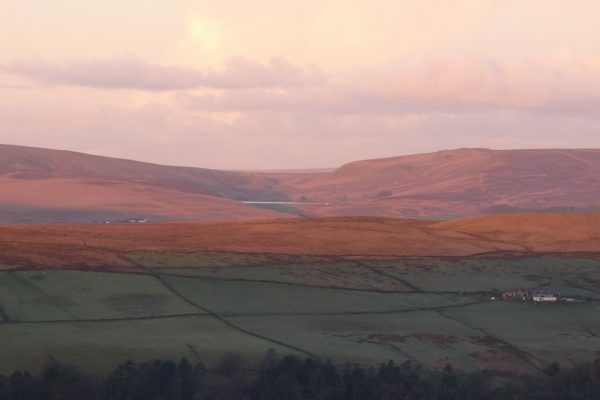 Walkers can join the Pennine Way at either Stoodley Pike or Heptonstall – both clearly visible from Elmet Farmhouse – via the Hebden Bridge Pennine Way Loop. 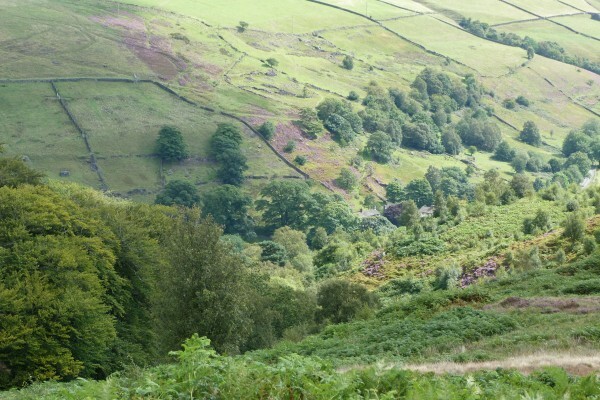 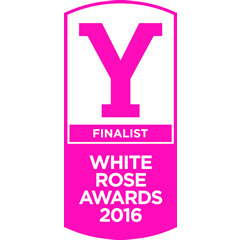 If you’re tackling the full trail, Elmet Farmhouse provides a perfect place for stopover. 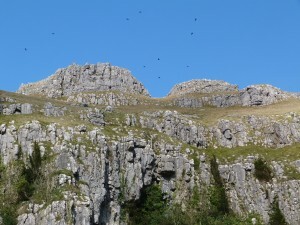 Allow at least 2 or 3 days, if not longer, so you can explore this area before heading on. 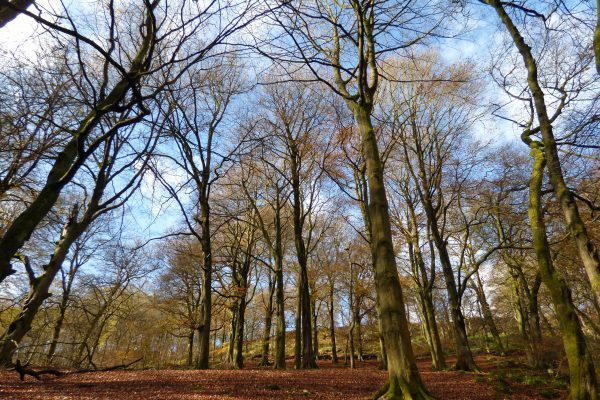 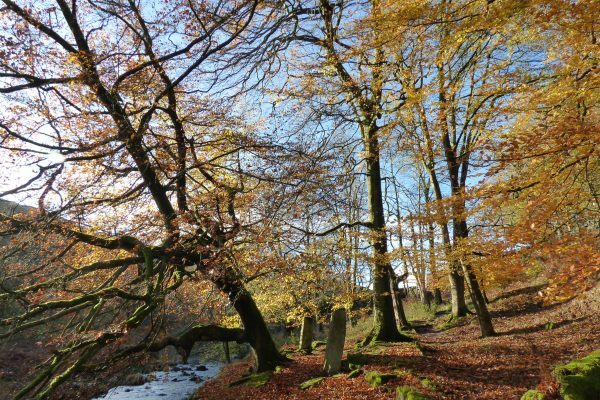 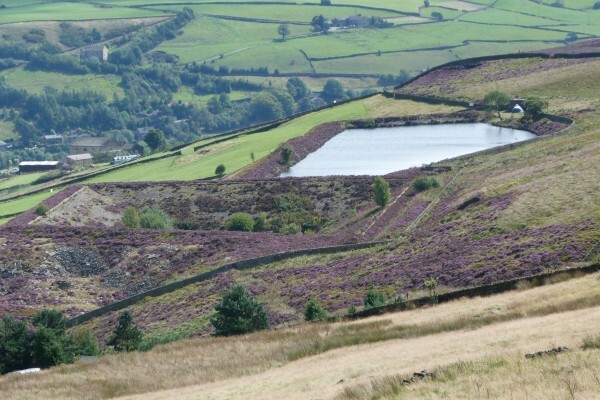 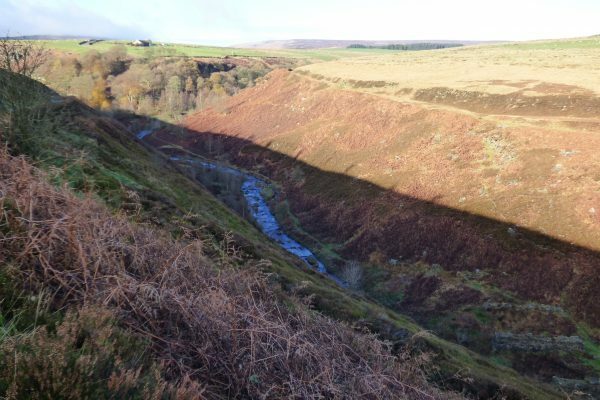 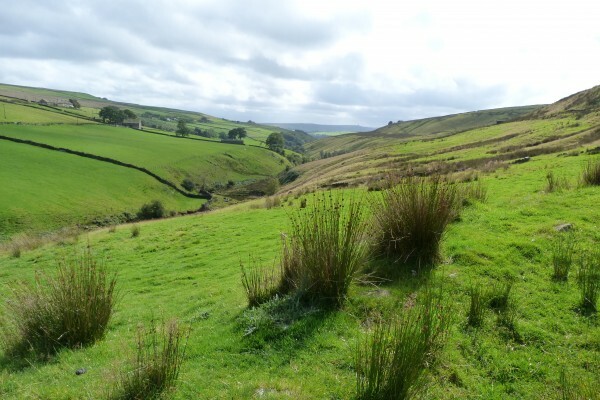 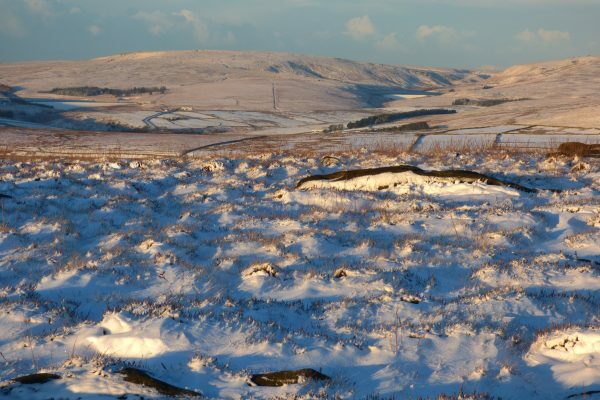 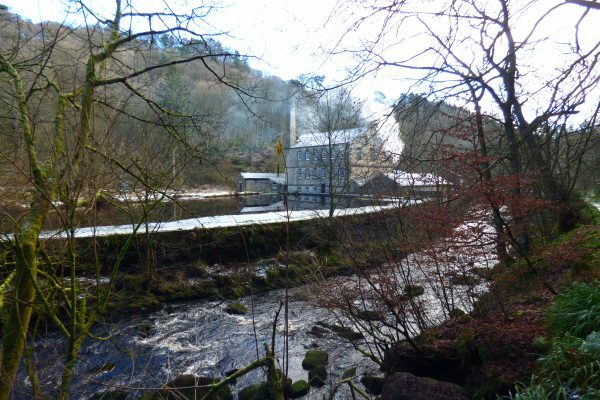 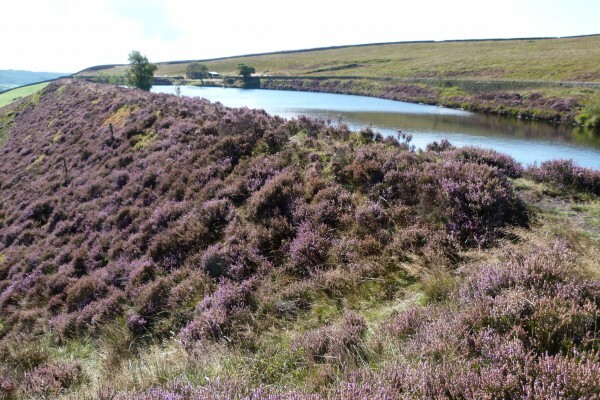 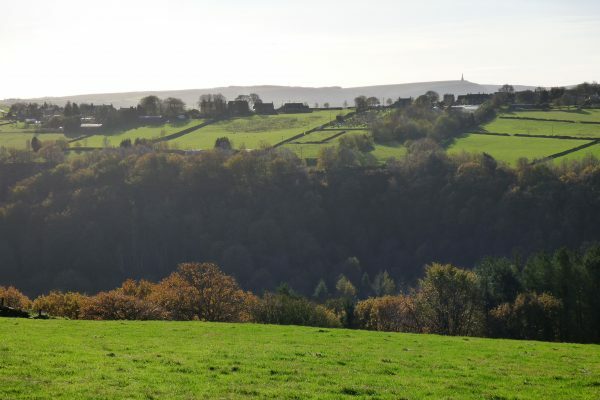 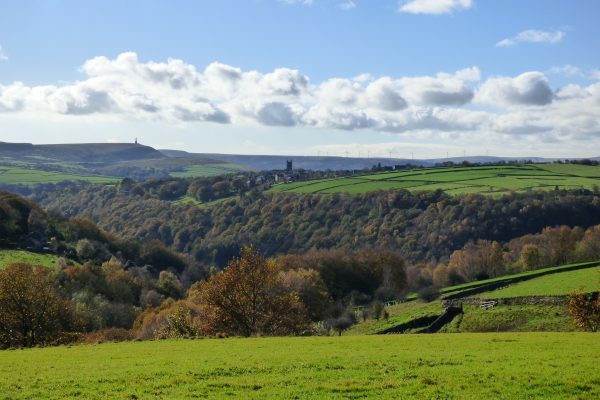 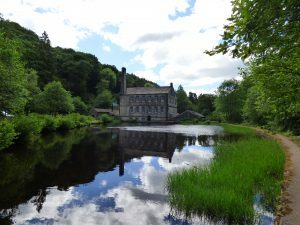 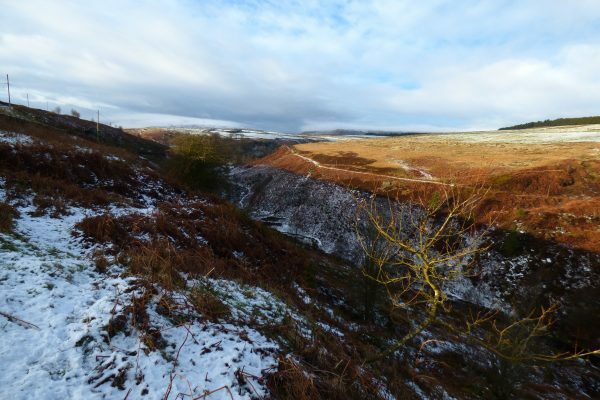 Another rewarding local long-distance walk is the 50-mile Calderdale Way, which loops right round the Upper Calder Valley taking in many beauty spots. 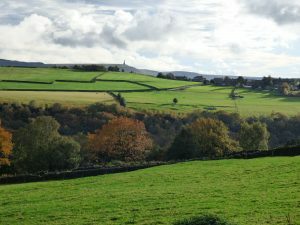 The Bronte Way, a 43 mile way through Brontë Country is also nearby. 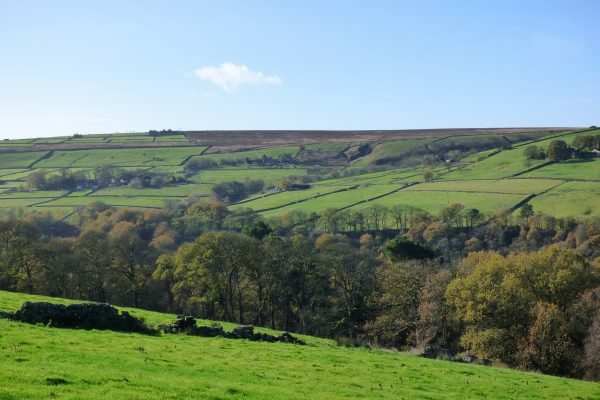 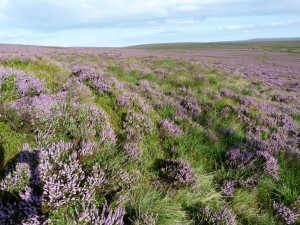 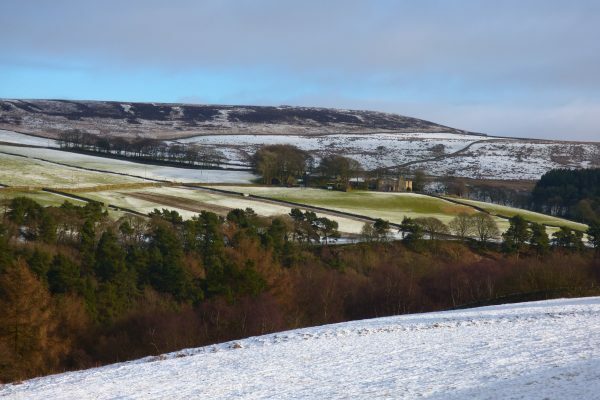 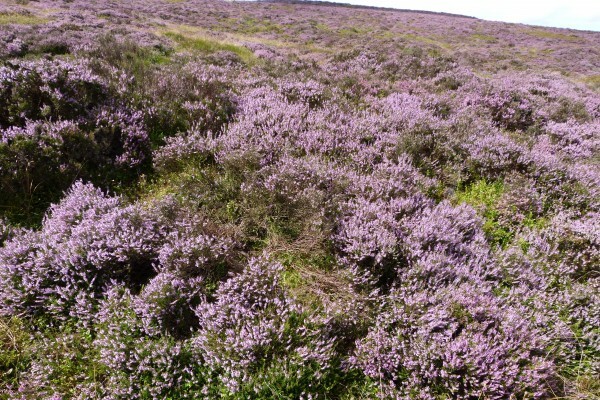 From Elmet Farmhouse you can hike over to Top Withens via Walshaw Dean to get an authentic flavour of Wuthering Heights, or stroll long the Haworth Old Road through Crimsworth Dean to Haworth. 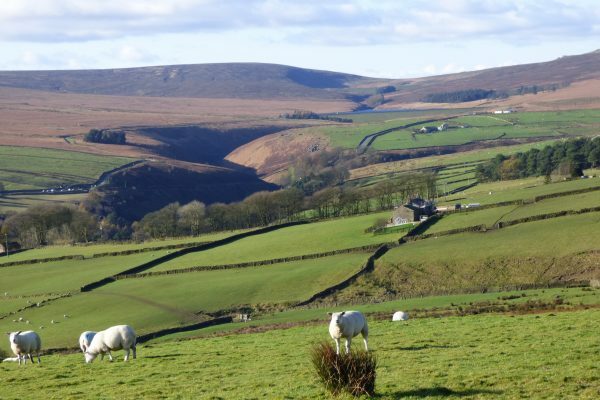 The Yorkshire Dales National Park is also easy to reach from Elmet Farmhouse, another rich resource for walkers. 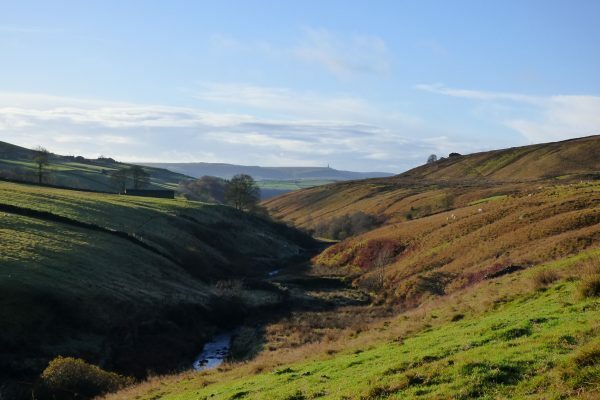 Simply head north to explore Wharfedale and Malhamdale. 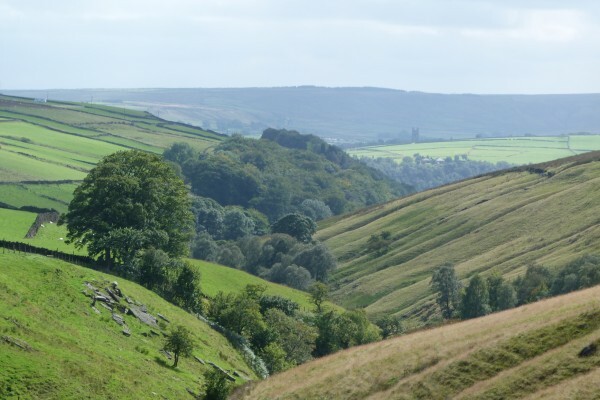 Whereas the precipitous valleys around Calderdale are formed from a type of sandstone known as millstone grit, the landscape of the Yorkshire Dales is largely limestone. 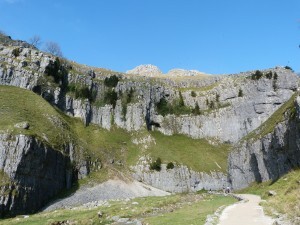 This type of rock responds to the elements quite differently, resulting in impressive geological formations such as the limestone pavements and dramatic cliffs of Malham Cove and Gordale Scar. 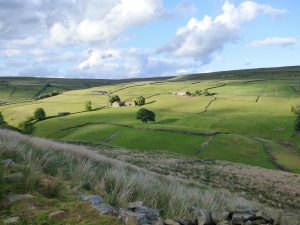 Beyond Wharfedale, the landscape changes once again and is characterised the broad U-shaped valleys of Wensleydale and Swaledale. 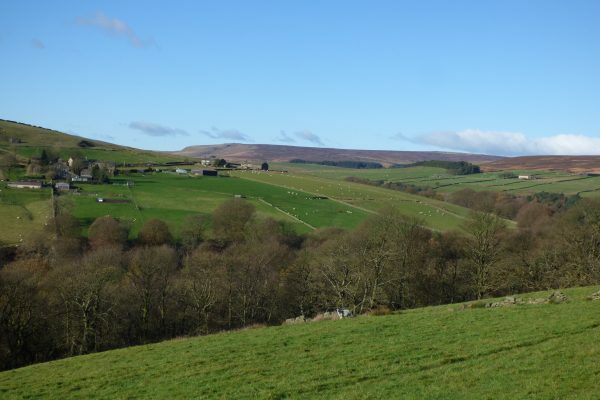 So if you’re looking for a base for a walking holiday in Yorkshire, Elmet Farmhouse provides the perfect location. 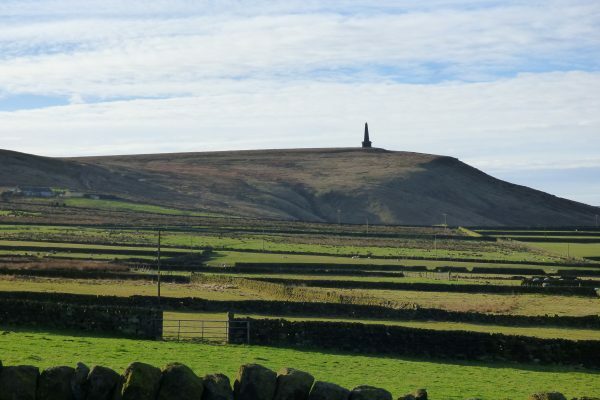 There’s such a wealth of hiking opportunities in this area – from Stoodley Pike and Hardcastle Crags to the Three Peaks and Simon’s Seat – you’ll struggle to pack them all in. 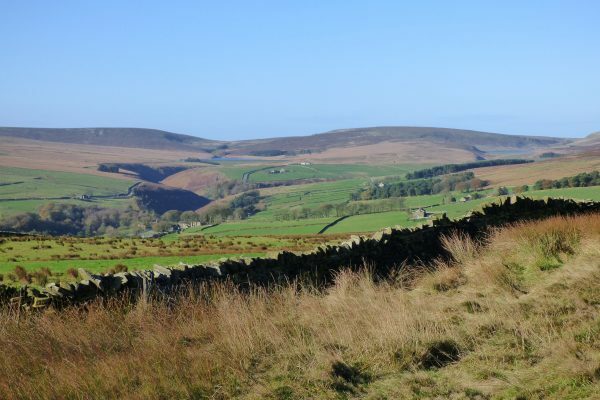 Once you’ve sampled the pleasures of walking in the South Pennines and the Yorkshire Dales, we guarantee you’ll be hooked.